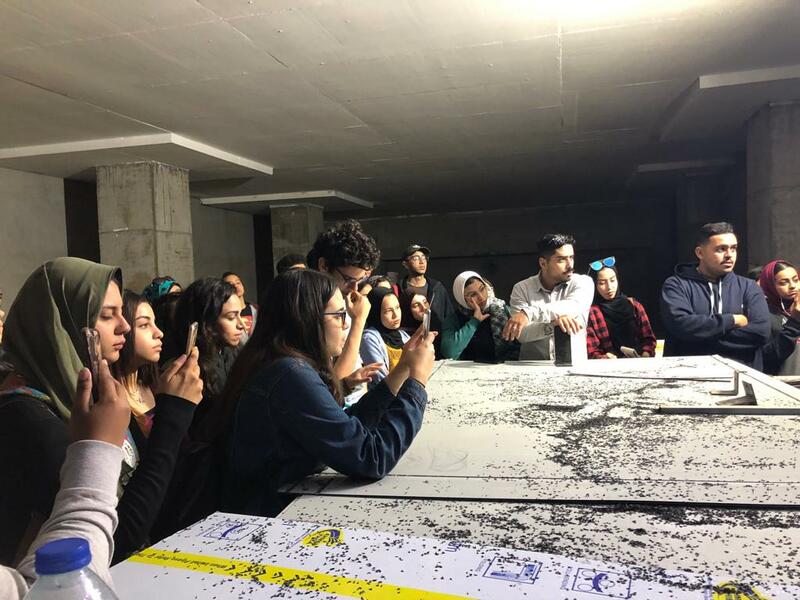 Under the auspices of Prof. Ramdan Abd-El Maksoud the Head of Architectural Engineering Department, a field trip was organized for the second year students to Alexa Tower commercial and administration building in Safiya Zaghloul Street. This was held on Monday 11/03/2019. The trip supervising team included Dr. Mohamed El-Fakhrani, Eng. Mohamed Shaban, Eng. Abd El-Rahman Ragheb, Eng.Yehia Soliman and Eng. Rodaina Mohamed. 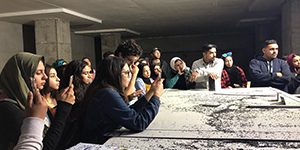 The trip aimed to link theories of the curriculum with applications. This location is one of Al-Futtaim Group projects in Alexandria. It consists of many floors; two-level underground garage, four above ground floors used as a mall, two-level above ground garage and several administrative floors. 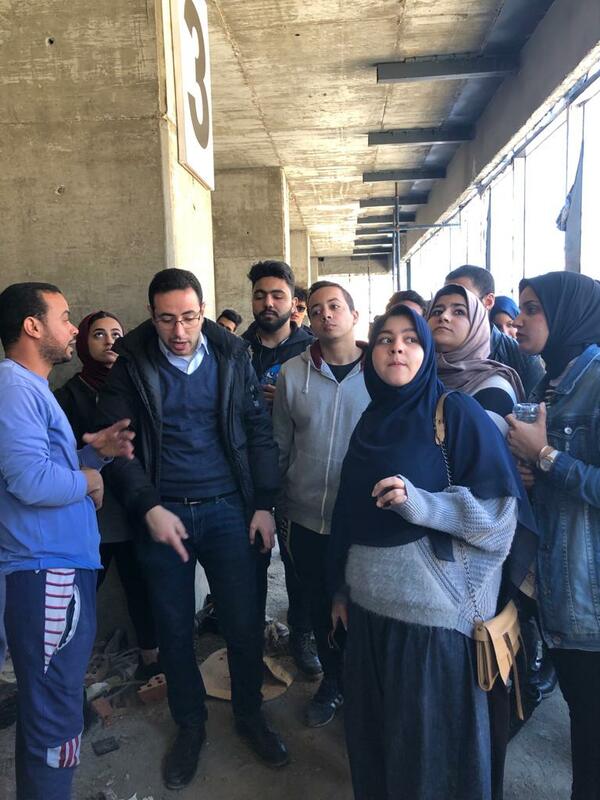 The delegation was escorted by the consulting engineer and a group of supervising staff of the site where they were acquainted with the curtain walls, false ceilings, marble and aluminum wall cladding as well as other structural and architectural details. They knew about the modern building techniques implemented in Egypt; the different phases of designing and implementing all the aforementioned elements to be delivered to the clients. As soon as they had returned, students made reports about this trip based on the notes and photos they had taken as well as their documentation of n the different phases.